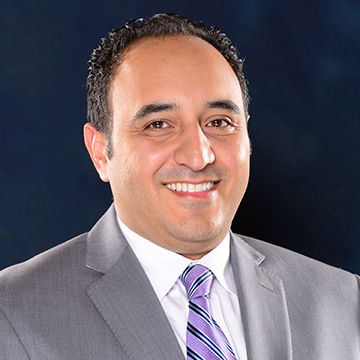 Dr. Maximos has performed over 2500 procedures throughout his surgical career. He specializes in innovative, minimally invasive upper extremity surgery. He has helped patients with a variety of hand conditions achieve an excellent outcome with faster return to full activity when compared to traditional open surgery. These procedures include the endoscopic carpal tunnel release, wrist and small joint arthroscopy, arthritis treatment, and hand and wrist fracture repair. Aside from his Doctor of Medicine, he has a Master of Science degree in neuroscience and has performed research on carpal tunnel syndrome. His focus is on peripheral nerve recovery, repair, and microvascular techniques. His goal is to provide you with the best treatment possible with minimal interference in your daily activity using cutting-edge, minimally invasive procedures. He is board certified by the American Board of Surgery, he is a Fellow of the American College of Surgery, and he has received the Certificate of Added Qualification (CAQ) in hand and microvascular surgery, which requires having completed a fellowship in hand and microvascular surgery and demonstrated competency in practice in hand and microvascular cases.